Lawn and garden watering make up 30 to 50 percent of total household water use, adding up to about 9 billion gallons of water each day in the United States. Because of inefficient watering techniques, as much as 50 percent of the water we apply to our landscapes is never absorbed by our plants. 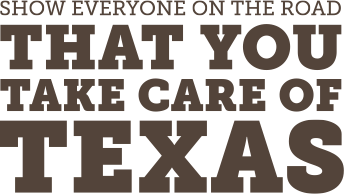 Luckily, there are many ways you can conserve precious water resources, save money, and still maintain a healthy and beautiful yard. There are new technologies for your yard that can save water, money, and time. WaterSense labeled irrigation controllers apply the right amount of water when plants need it, neither over nor underwatering your yard. Also, by using one of these controllers, you’ll avoid having to continuously update your irrigation schedule for current weather conditions. The WaterSense labeled controller does it for you! Irrigation controllers that are WaterSense certified act like a thermostat for your sprinkler system, using local weather conditions to tell it when to turn on and off. Rather than running by a preset clock schedule, they tailor watering schedules to conditions in your yard. For example, during cooler months, when plants typically need less water, a WaterSense controller will automatically reduce the sprinkler run time or the number of days water is applied. Replacing a standard clock timer with a WaterSense labeled irrigation controller can save an average home 8,800 gallons of water each year. We could save $435 million in water costs collectively if every home in the United States with an automatic sprinkler system used a WaterSense labeled controller. They can be used with existing irrigation systems and are also suitable for larger landscapes including those at schools, hotels, and office buildings. Despite the benefits, even the best controller cannot compensate for an irrigation system that has been poorly designed, installed, or maintained. To reach the full potential savings, you must look holistically at your irrigation system and landscape design and maintenance. Learn more about WaterSense irrigation controllers. Check your settings at least every three months to make sure you are providing the right amount of water to your yard. Winterize your system if you live in an area where freezing is a concern. Adjust the run time for your sprinklers to account for areas of your yard that have different watering needs. Look at your sprinkler heads regularly. Remove any dirt or debris that may be clogging the nozzle and make sure that water is flowing at the proper pressure. Check for leaks and repair them promptly or contact a licensed irrigator or master plumber to repair them. 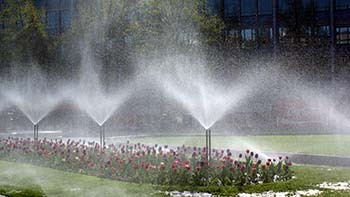 Much of the water used to maintain our landscapes is wasted through inefficient watering techniques. Use these tips to save water and keep your yard healthy. 1. 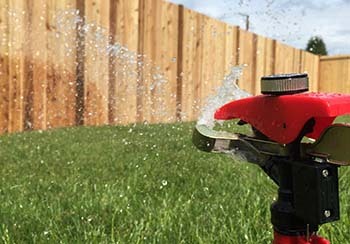 Adjust sprinkler heads so that they only water your grass, not your sidewalk or driveway. 2. Ensure sprinkler heads spray large drops of water instead of a fine mist. 3. Consider drip irrigation or soaker hoses for watering vegetables, ornamental and fruit trees, shrubs, vines, and container grown plants. 4. Water your lawn infrequently, yet thoroughly. Avoid overwatering, which is the biggest waste of water, can weaken your lawn, and causes runoff. A general rule is to water one inch, once a week. * Learn more about how to measure the amount of water you apply. 5. Watering too little is also wasteful because it does little to relieve any drought stress that the plants may have. 6. Save water by watering in the morning. * If you irrigate at midday, you will lose much of the water due to evaporation. *Always comply with your water system’s water-use restrictions. Learn more about landscape irrigation and WaterSense irrigation controllers.